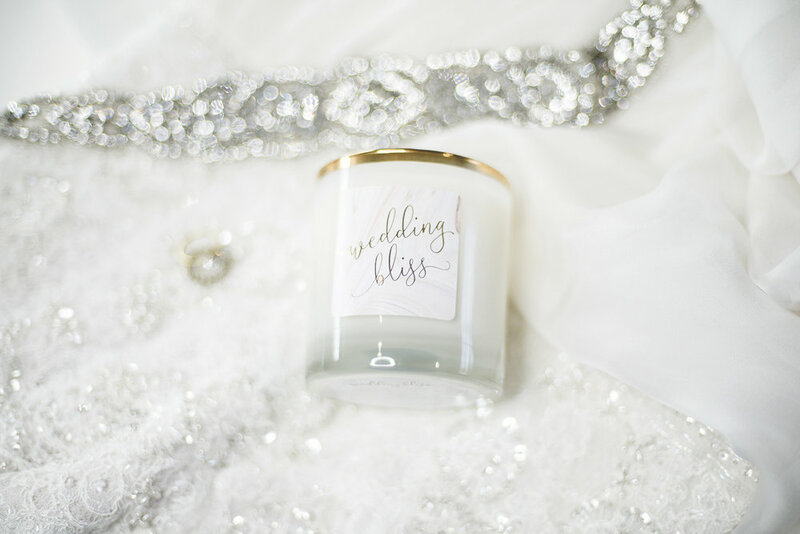 We invite you to enjoy the Wedding Bliss Candle! We developed this candle for Brides to be both useful and indulgent. It can be overwhelming to create your unique wedding vision and work on many little details before you tie the knot. We understand it can be draining to plan a wedding while also juggling date nights with your fiancé, a fun social calendar with your friends and long days at the office. The proprietary scent notes can promote energy and confidence to make wedding decisions while also reducing anxiety to promote stress relief during the wedding planning process. Our candle is available on Amazon! We want Brides to enjoy this intriguing blend of lavender, bergamot, grapefruit, jasmine and exotic florals. The eco-friendly and non-toxic soy and coconut wax blend is as decedent as wedding cake. 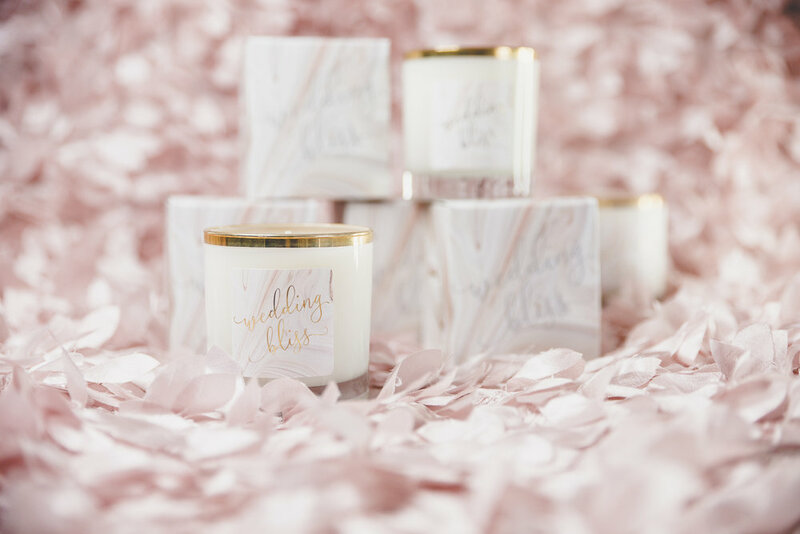 The Wedding Bliss Candle is perfect gift for an engagement party, shower, and wedding. It is also a perfect gift to give to yourself. I love the start of the new year and seeing newly engaged couples. I love love and I love meeting new couples - hearing how they met, how they fell in love, how they became engaged. They light up. As Mom, I love seeing couples happy. As a Wedding Planner, I love seeing couples happy and my mission is to help couples with their wedding so they STAY happy during their engagement. I mention being a "Mom" because I treat all of my Brides like they are my own daughters. I'm there for them for the wedding planning and more - I've received calls at midnight, texts right when they woke up on Sunday, emails from vacations - little things that popped into my Bride's heads and I helped them to solve what was troubling them and help them not to stress out. I become really close to my Brides and we stay in touch even AFTER their wedding! Please contact me to learn more about how I can help you! We loved Meghan Markle in Suits and adore her engagement session with Prince Harry. Swooning over this dress. Can't wait for their wedding! I'm sure Meghan already has help for her 2018 wedding - I'm happy to help recently engaged Cleveland brides! Email me today! Thanks to Kate for her recap of her wedding on her blog, The Great Escapist. I was delighted to be her Month of Coordinator for her 11/11 wedding. Love her candid review of how she didn't initially intend to hire a wedding planner and then so glad that she did. I hear of this often and encourage brides to consider hiring help! "I didn't plan to hire a wedding coordinator, but I sure am glad I did. Enter Denise McPherson, local planner extraordinaire, who helped manage every element of our big day..." Read her full post. 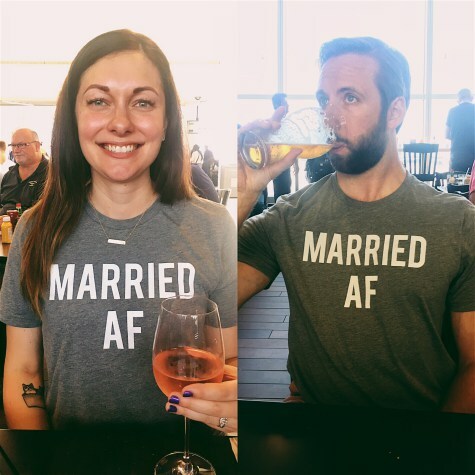 Thanks to Julia and Ben, the couple behind the Beard & Broad, for the thoughtful recap of their wedding. I loved their review of how I helped them: "We wanted to incorporate our vision and designs and wanted to pick out our own vendors (we had a ton in mind). But we also wanted someone who would help us out with whatever we needed, would do stuff we really didn’t want to do, and most important, make sure the day went as smoothly as possible. She was amazing, like a fairy godmother." Check out their full post. What a sweet couple! 11/11 wedding date! Can't wait for the professional pictures from their wedding. We had a blast at Windows on the River. Kate, my Bride and talented writer of the Greatest Escape, compiled a list of tips as she counts down to her wedding. Totally agree with #3 that a wedding coordinator "was an expense worth investing in" and so happy to be part of Kate and Mike's wedding! Join us on Thursday, July 27 for Love Bash! Borrow Vintage & Eclectic Rentals is hosting this highly curated bridal event. Their theme is "Luxury in the Country" and we are designing a bohemian & vintage booth. We are excited to meet new brides! Tickets are for sale online. Are you a bride or know a bride that needs guidance? But a wedding planner doesn’t fit your budget? I’m introducing a new service for $99. The Ask Denise session will help with an issue that popped up … or a tricky family situation… or a logistical brainteaser. I will help with issues that your family/friends/fiancé don’t understand. I’m here as a wedding planner and a recent Mother of the Bride. In a 1-2 hour meeting, we’ll discuss your wedding, uncover the items causing uneasiness and determine key action steps to get your back on track! Contact me to schedule! Visit us at the Cleveland Flea! My husband and I have so many creative projects to share! As always, always available to talk about weddings!!! Ever wonder what wedding planners do? 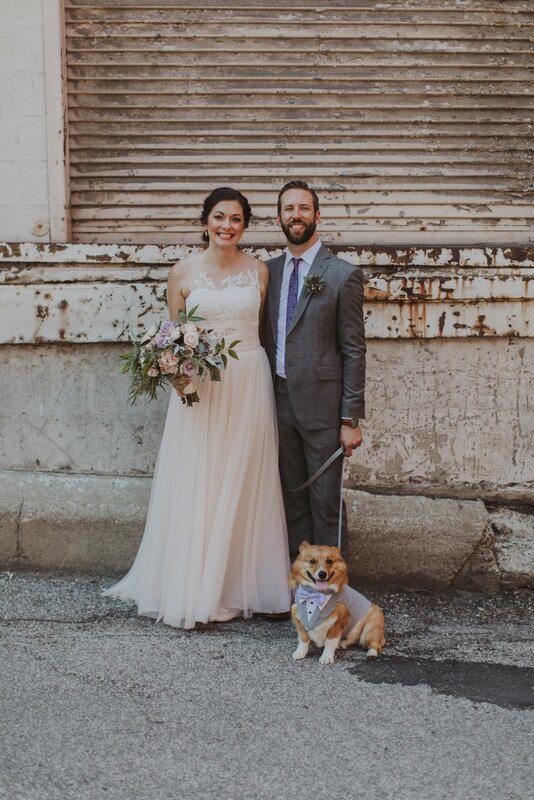 For Aubrie and Danny, we made sure the décor was perfect, the timeline ran smoothly… and coordinated the sourcing and hookup of a huge TV to watch the Indians play game 4 of the World Series! We are excited that the creative geniuses from the Cleveland Flea are organizing a bridal show! 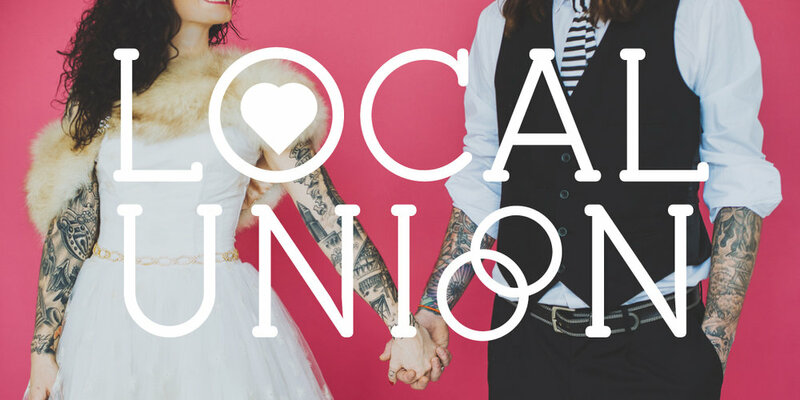 The Local Union will be on February 25 from 11am to 8pm at the Nash. We hope to see you there. Check out the Local Union website for more details! We are excited to be a vendor in the 2017 BBB! Check out www.boutiquebridalbazaar.com for tickets. Use code “VIP” for $5 off VIP tickets through 12/25/16.